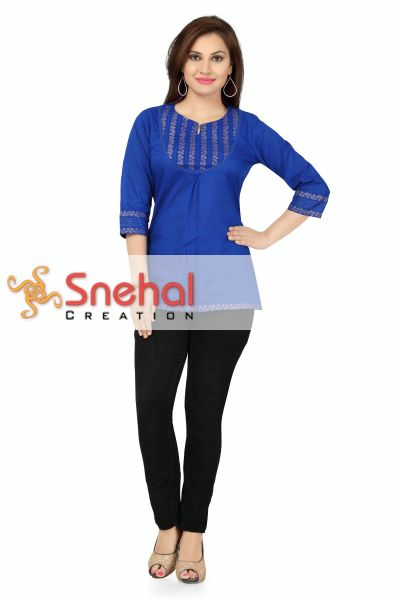 This Blazing Blue Printed Cotton Designer Tunic for Women is totally worth hoarding, if you haven’t already bought the beautiful piece here. 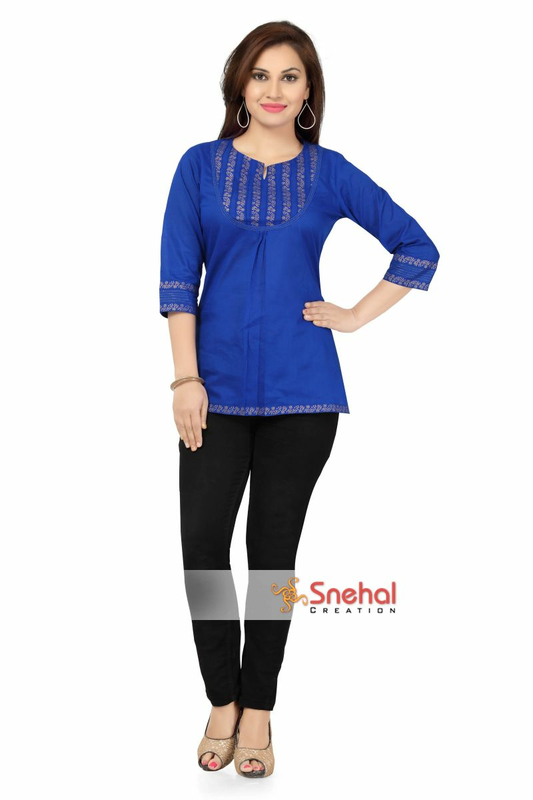 Made out of excellent quality cotton this bright blue tunic is a short top with the usual round neck and a gold block printed neck panel. 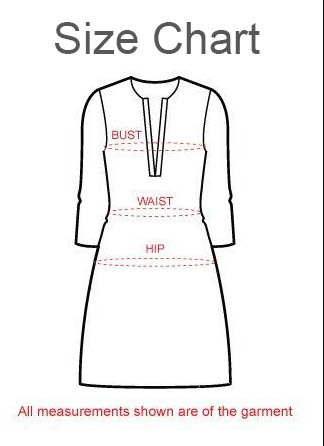 The neck panel is followed by a distinct cut underneath it which provides the tunic A-line silhouette. 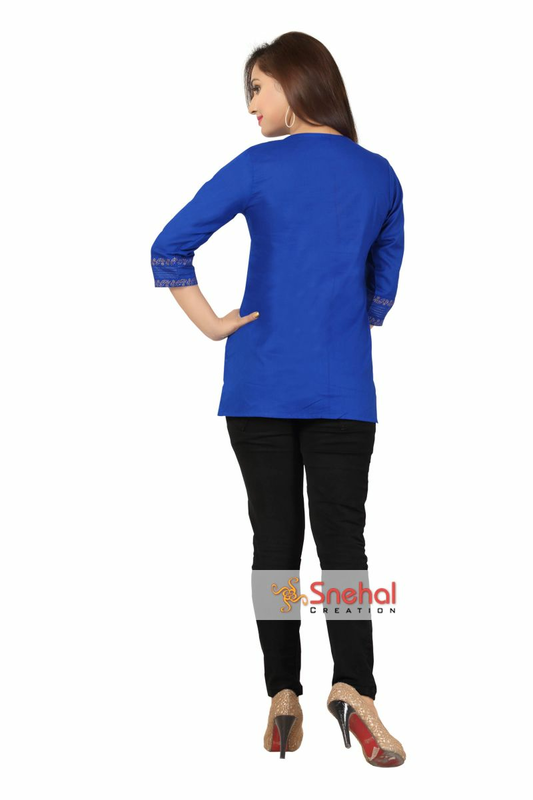 The three fourth sleeves come bordered with double lining of golden block printed strips at considerable distance. Similar gold border lines the tunic at the base. 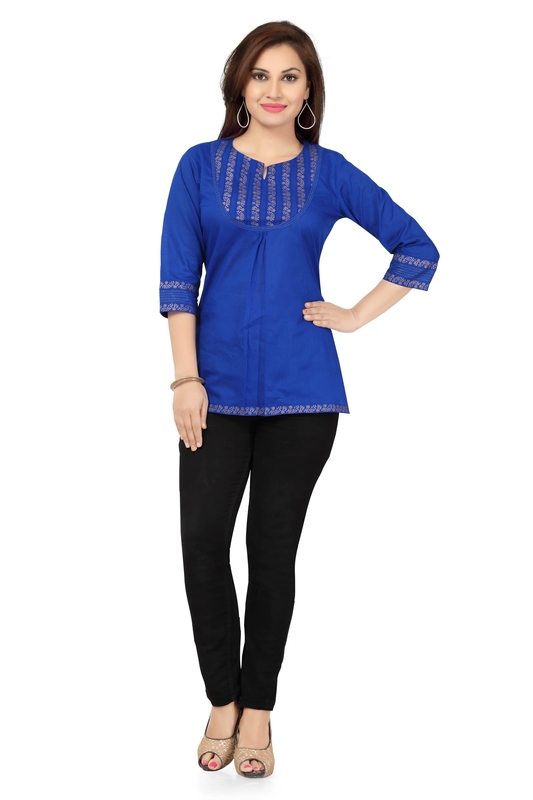 Team it with a cool pair of jeans and chappals.